From Aris’s Birmingham Gazette Monday 23rd October, 1826. Birmingham’s 19th century newspapers are available on microfilm in the Local Studies department at the Library of Birmingham. 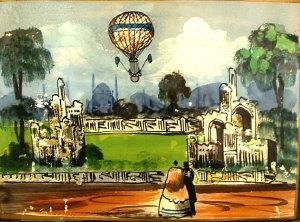 Birmingham’s own local Vauxhall Pleasure Gardens were situated very closely to the barracks and held regular military concerts and several ballooning events. The lively event described in the report appears to have taken place in the barrack yard and, although the balloon was ultimately unable to take off, it nevertheless makes an entertaining read. 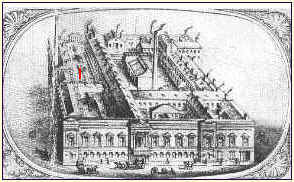 An immense concourse of people assembled on Monday in the neighbourhood of the barracks, in the expectation of seeing Mr. Graham ascend with his balloon; and the barrack yard, from which the ascent was announced to take place was nearly filled with persons who paid to view the process of inflation. The time appointed for the ascent was two o’clock, and the balloon commenced filling a little before eleven. 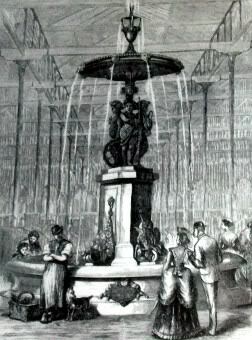 The gas was supplied from the works of the Birmingham and Staffordshire Gas-light company and the inflation proceeded for some time favourably, but towards two o’clock a rent was perceived from which the gas was rapidly escaping. The balloon, however, continued to fill for some time, when Mr. Graham stated that the action of the wind on the top of the immense machine counteracted the operation of the gasometer, and prevented any more gas from entering. The people who had paid for admittance became very impatient as the afternoon advanced, and suspected that no ascent was intended. In order to satisfy them, Mr. Graham seated himself in the car at four o’clock and the balloon was released from its fastenings, but it had not obtained sufficient buoyancy to rise from the ground, and only dragged for about the yard. The populace seeing there was no possibility of the balloon ascending, became enraged and would have torn the machine to pieces had not the soldiers kept them off, and succeeded with some difficulty in clearing the ground. Numerous are the accounts given why the balloon did not ascend. Mr. Graham says that a number of persons who had bets depending upon its non-ascent held the car down until the gas had escaped through an aperture they had purposely made in the silken fabric. During the time the gas was escaping in volumes. The stench through the yard was most intolerable. Mr. Graham declares that he will shortly make a gratuitous ascent, accompanied by Mrs. Graham as some compensation for the disappointment. Michaelmas, or the feast of St. Michael, falls on September 29th. In Birmingham, as in many other places, it was one of two dates used to divide the administrative year. The other being Lady Day on March 25th. The town’s bye-laws, covering all manner of administration, from lighting and policing, to the opening times of the Market Hall, contained regulations which applied from Lady Day to Michaelmas and from Michaelmas to Lady Day. These were important dates in the nineteenth-century calendar. It is held on the last Thursday of September, in the wide open space called The Bull Ring, which is situated in the centre of the town in front of St. Martin’s Church. The growth of this savoury vegetable is the object of much attention by many of the neighbouring market-gardeners and farmers, who find the soil and climate well adapted to its cultivation. 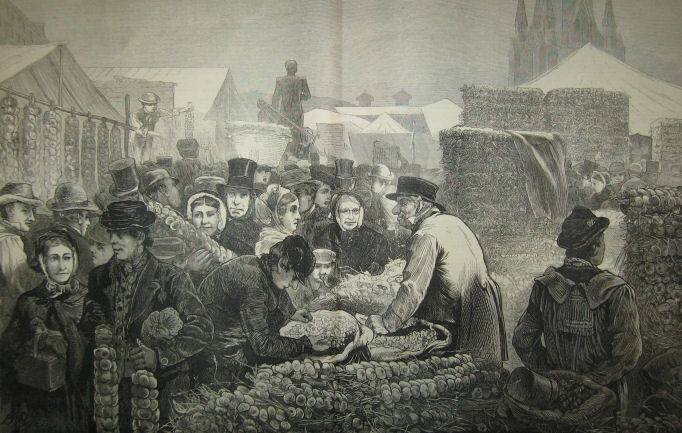 Nowhere can such large quantities be seen, or of finer quality than in the special fair at Birmingham…the onions are piled in stacks, heaped in wooden crates or wicker baskets, spread up on wide stalls or suspended in perpendicular ropes from cross-poles overhead. The air is fully charged with their pungent odour, causing the unaccustomed eye to perhaps shed an involuntary tear. 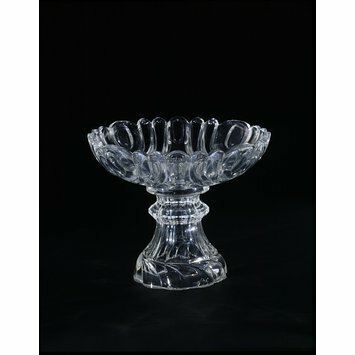 Will be held, as usual, in Cross Cheaping, tomorrow (Tuesday) when a PRIZE of a handsome SILVER TEA-POT will be given to the largest purchaser of cheese in weight. The Committee will dine together after the Fair, at the King’s Head Inn, at five o’clock, when they will be happy to see any gentleman who will favour them with his company. Showell’s Dictionary of Birmingham along with copies of various 19th century newspapers, can be found in the Local Studies Department of the Library of Birmingham. The Improvement Act of 1828 (9 Geo. 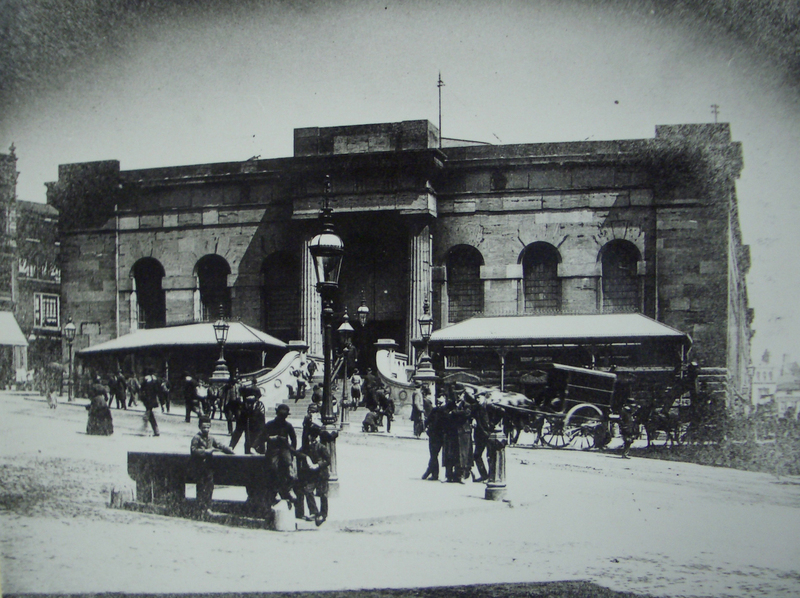 IV) gave the Birmingham Street Commissioners authority to erect a ‘market house’. Over the course of several years, money was raised through loans from the public and was finally opened to the public in February 1835. 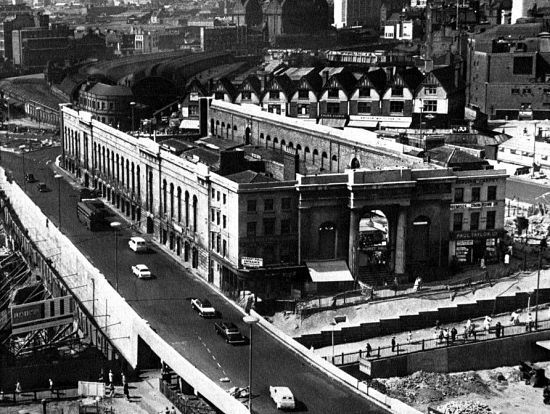 It was a grand building and came to be a much loved feature in Birmingham. 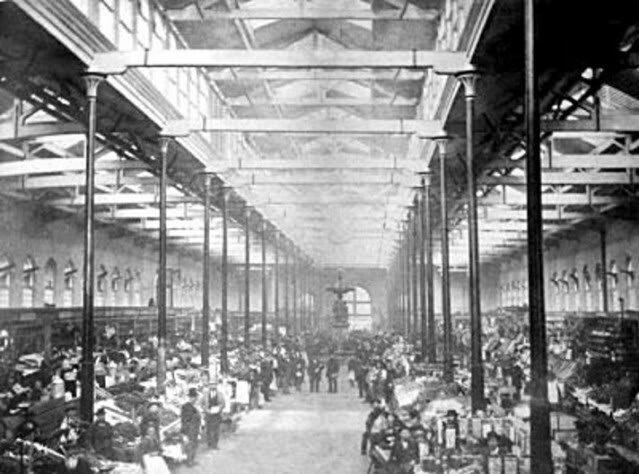 In the centre of the hall, 18 fish stalls, 90 feet square with moveable marble slabs, each 4 feet wide. 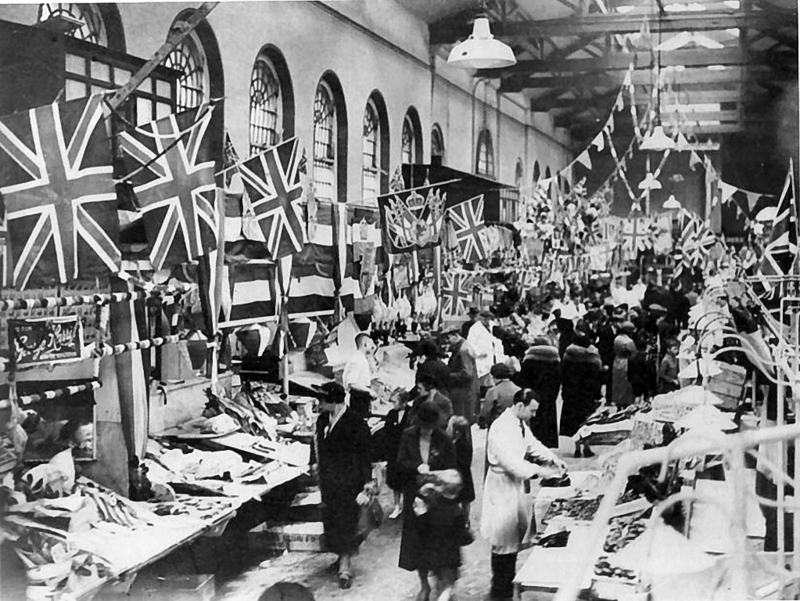 The market hall was bombed in November 1940 and was eventually demolished to make way for the new Bullring development of the 1960s. No. 2 Every occupier of a slaughterhouse shall provide and keep a sufficient number of tubs, boxes or vessels with tight and close fitting covers thereto constructed to the satisfaction of the Council for the purpose of receiving and conveying away all manure garbage and filth; and shall in all cases except as hereinafter provided immediately after the killing and dressing of any cattle in such slaughterhouse cause all such manure garbage and filth to be placed in such tubs, boxes and vessels, and such tubs, boxes and vessels together with their contents shall be removed beyond the limits of the Borough or to such place as shall be appointed by the Council at least once in every 14 days or oftener if requested between the hours of 10 at night and 8 in the morning; and all the blood arising from the slaughtering of cattle shall be put into separate tubs or vessels with close fitting covers and shall not be permitted to flow in the channel or sewer or open street. Provided always that no blood shall be put into the same tubs or vessels in which the manure garbage or other filth is put. 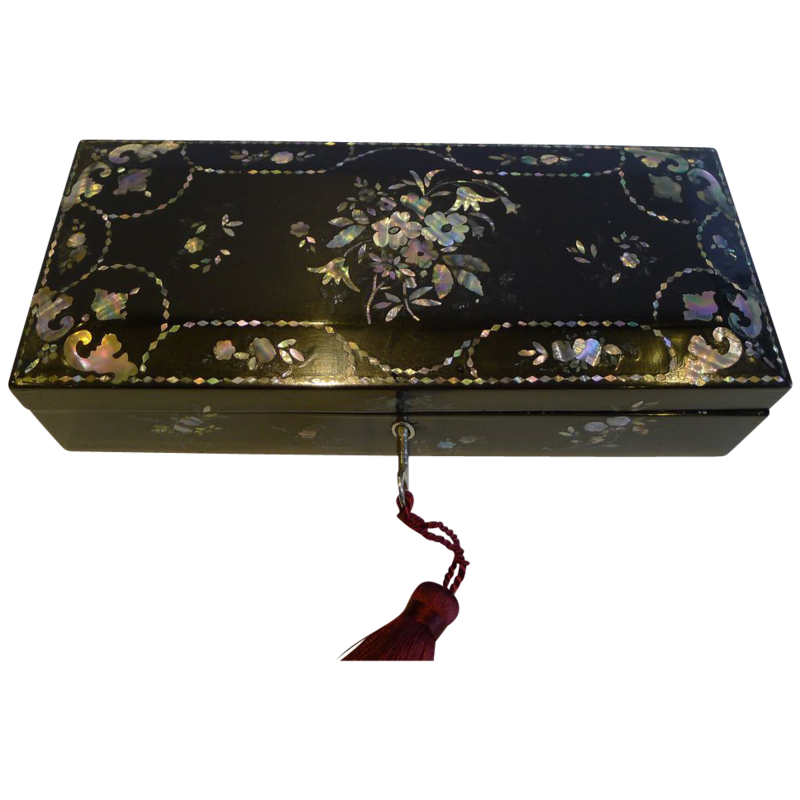 Provided always that the manure, garbage and other filth shall not be kept or carried away in such tubs boxes and vessels where impermeable covered drains are provided for carrying away the same. No. 3 All the tubs and vessels which are used for the removal of any manure, garbage and filth, and all the tubs and vessels which are used for the removal of blood from any slaughterhouse shall immediately after being used for such removal be thoroughly emptied, cleansed and purified, and the floor of such slaughterhouse shall then also be effectually scoured and cleansed and the whole shall generally be kept in such a condition that neither within the slaughterhouse nor without it shall there be any offensive smell arising therefrom. No. 4 Every occupier of such slaughterhouse shall remove or cause to be removed from such slaughterhouse the hides and skins of any cattle that shall be slaughtered therein within two days next after such cattle shall have been slaughtered. No. 6 Every occupier of such slaughterhouse, in case of diseased or unsound cattle being brought to such slaughterhouse shall forthwith give information thereof to the Council, or to their authorised officer in that be any cattle in such slaughterhouse behalf. No. 7 No occupier of any slaughterhouse shall build or permit any access or opening to any privy or middenstead from such slaughterhouse to be made or if now made to remain, nor shall any such occupier permit or suffer any pigs or other animals to be kept in any slaughterhouse, except for the purpose of being fasted previous to killing. No. 8 No occupier of any slaughterhouse shall keep or retain any cattle in such slaughterhouse for a longer period than 72 hours previous to the slaughtering of the same. No. 9 The occupier of every slaughterhouse shall cause the same to be thoroughly washed and cleansed within 3 hours after the completion of the slaughtering and dressing of any cattle therein on any day during which any such slaughtering or dressing shall take place. No. 10 The occupier of any such slaughterhouse shall not keep or permit to be kept in such slaughterhouse or premises any ferocious dog, unless such dog shall be securely fastened or muzzled. No. 11 All members and authorised officers of the Council shall have free access to every slaughterhouse, and to every part thereof at any time when they shall demand admission for the purpose of inspecting and examining into the condition thereof with regard to the cleanliness, ventilation and management thereof. No. 12 The occupier of every registered slaughterhouse shall cause the word ‘slaughterhouse’ together with the number corresponding with the number ch slaughterhouse shall be registered in the Register kept for that purpose by the Council to be painted or otherwise inscribed to the satisfaction of the said Council on, over or adjoining to the outside of the door or entrance to such slaughterhouse, and there kept and continued free from any obliteration or defacement. No. 13 The occupier of every slaughterhouse shall cause a copy of these bye laws written or printed in large characters to be affixed in some conspicuous place of such slaughterhouse to the satisfaction of the Council and of their authorised officer, and to be at all times kept and continued in such place; and in case such copy of these bye laws or any part thereof should be obliterated or defaced such occupier shall forthwith affix in the same conspicuous place as aforesaid another copy of the said bye laws in lieu thereof. No. 14 Every occupier of any slaughterhouse within the said borough who shall in any respect fail to comply with either of the foregoing bye laws or in anywise offend against the same or who after due notice from the Council requiring such slaughterhouse to be whitewashed, purified and cleansed shall neglect so to do, or who shall at anytime refuse to allow any member, officer or servant of the Council an inspection of the premises shall forfeit and pay for each and every offence any sum not exceeding the sum of £5 and and a further penalty of 10s/- for every day during the continuance of the offence after written notice thereof from the Council; the said penalties to be recovered and applied as the statute directs. 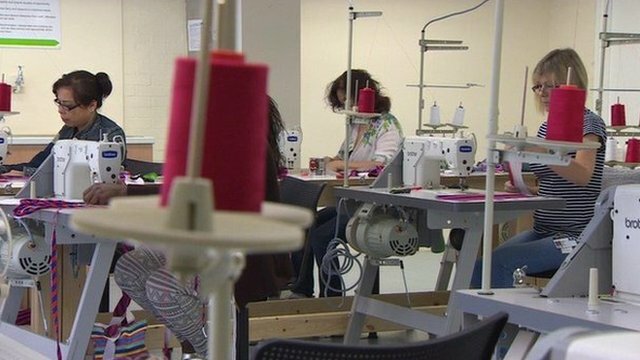 The report revealed a collaboration between the London College of Fashion (LCF) and Holloway Prison, which will enable women to work towards an NVQ and will also lead to high street sales of goods produced by the women in Holloway Prison. Professor Frances Corner explained that this was part of LCFs commitment to “widening and transforming lives”. One of the women interviewed said that the course also took away the boredom of being locked in a cell for much of the day. 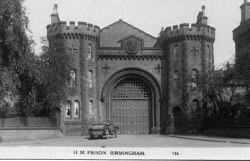 Prison as a place of rehabilitation, rather than simply a punishment, is of course not a new idea and the provision of useful occupation was an early consideration when Birmingham’s Borough Council were preparing to open the town’s first house of correction in the mid-nineteenth century. At a meeting in July 1850, the Gaol and Buildings Committee of the Town Council reported that a foreman carpenter had been appointed for the gaol “under whose superintendence several of the prisoners have worked advantageously”. In the same year the visiting justices recommended (and the council subsequently approved) the appointment of an instructor shoemaker at 20 shillings per week, with 6 shillings deducted for food and clothing. 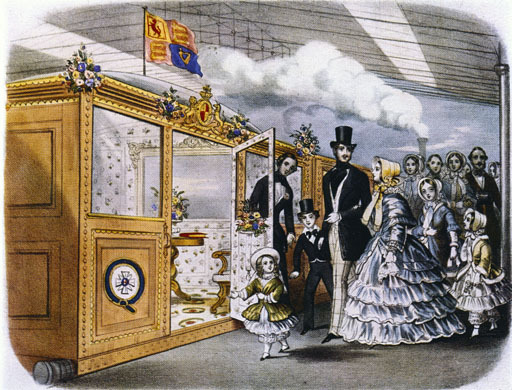 The wages of the instructors were revised in the same year, after a further report from the visiting justices concluded that they were “insufficient to secure the services of efficient persons” and the weekly wage was increased to 30 shillings per week, with an instructor tailor being added to the payroll in 1851. The prison was at that time occupied by men and women, adults and juveniles, although it seems likely that only males received supervision from the tailor and shoemaker. It also seems likely that such supervision was intended to keep the men occupied as much as to teach them a new trade. However, both a school master and a school mistress were appointed for the gaol in 1850, at annual salaries of £60 and £20 respectively. So it would seem a fair conclusion that female juveniles, at least, received some sort of education. “It is with pleasure announced that MR BRADSHAW has completed the Third part of his MAP, shewing the elevations of the Canals, Rivers and Railways of the greater part of England, from a datum of 6 feet 10 inches under the sill of the Old Dock at Liverpool. The levels have been expressly taken for this publication, and carefully examined by some of the leading members of the Institution of Civil Engineers, whose testimonial is subjoined. Testimonial._ We, the undersigned, having had opportunities of comparing Mr Bradshaw’s Canal Maps with the Lines of Navigation and Levels herein described, have no hesitation in recommending the same as a most useful, correct and valuable work.